New England police have charged 71 year old man, Ian Berryman with dozens of child sexual abuse offences involving 18 different complainants. 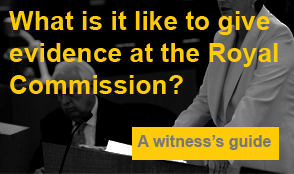 The police investigation was sparked by a referral in 2013 from the Royal Commission after evidence was provided by survivors during private sessions. The accused was a former teacher at Ben Venue Public School in Armidale, NSW. The offences were perpetrated in the 1970’s and are believed to have largely taken place within school grounds. Last year, it was reported in the media that the former principal of the school, Peter Garland was accused of abusing students. Garland died in 2010. The police involved with the arrest believe there to be more victims and are urging anyone who was abused at the school during the 1970’s to come forward.